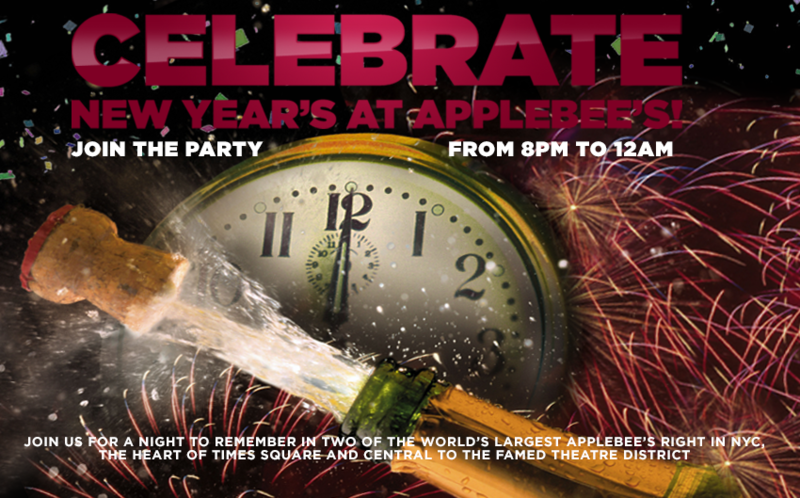 Join us for a night to remember at Applebee's Grill + Bar Restaurant in the heart of the Theater District / Times Square on Broadway at 50th Street in New York, NY! Located on the corner of Broadway and 50th St. and extending nearly a city block, in the heart of Times Square, steps from the excitement of the New Year's Eve Ball Drop. Be in the center of it all – and feel the electricity & excitement of a “real” Times Square New Year's Eve experience! The party begins at 8pm and runs through our signature champagne toast at 12M.